“Brother Long, do you know of a way to deal with this?” Jiang Chen communicated through his consciousness. Art of devouring? Jiang Chen seemed to have instantly caught his drift. Unfortunately, he’d never cultivated the devouring ability before. This was a very different ability from a dragon roar. To imitate a dragon roar, all he needed to do was open his mouth and activate his true qi. It wasn’t a difficult ability to master since he possessed the true dragon bloodline. He wasn’t entirely sure that he could learn the devouring ability in such a short time. “Brother Long! I haven’t learned that art yet!” Jiang Chen replied without beating around the bush. Jiang Chen was amused by the thought of that. He’s telling me to cheat! Well, beggars can't be choosers! With Long Xiaoxuan’s guarantee, he increased his speed and leaped onto one of the arena’s pillars. He stood motionless like a mountain atop the pillar and looked down upon his opponent. Ah? Why has he stopped? The audience was curious. This was clearly not the right time to stop moving. Zhuang Jie was overjoyed when he saw Jiang Chen perch on the pillar. It seems like the brat has finally lost his patience. Is he planning to use brute force to shove his way through my Dragon Waterspout? He was sure that he’d win if that was the case. He’d never seen an opponent at an equal cultivation level push their way through his attack using brute force alone. There were countless geniuses who thought they could do so, but every single one of them was crushed by the two Dragon Waterspouts. Those who were aware of the might of Zhuang Jie’s attack were thinking that the pill king had gone mad for making such a bold move. Ji San was so worried that he wanted to shout some reminders to Jiang Chan. However, it was already too late for that. Changes in the battlefield happened in an instant. The battle would probably be over by the time he opened his mouth. The clan lord gripped the armrests of his chair tightly. Disbelief was written all over his face. He couldn’t understand why Jiang Chen had made such a reckless move when he was normally so calm and composed. The audience’s heart skipped a beat as well as their breathing began to hasten. A victorious smile had appeared on Zhuang Jie’s face as well. He was certain that he’d won. There was no way the idiot pill king could deal with his Dragon Waterspout through brute force alone! “Die!” The two water pillars became thicker and thicker. The cyclone had also increased in intensity and sucked in the surrounding air into its vortex. The two waterspouts had turned into water dragons that swept across the void. Jiang Chen remained incredibly composed. His eyes didn’t waver even one bit. He suddenly opened his mouth wide and a thunderous dragon roar shot towards the two enormous water pillars. The crowd was dumbfounded then they saw what Jiang Chen had done. They simply couldn’t comprehend what he was trying to do. However, the smarter ones soon realized something. “Is he planning to devour the two water pillars?” one of them suddenly asked hoarsely. “It can’t be! Even the air is being shredded by the water pillars! How could his body possibly withstand such power? “The pill king has overestimated himself.” Some of Jiang Chen’s supporters sighed. They were not supportive of his reckless move. The two water pillars were simply too frightening. Everyone could sense the furious power contained within the vortex. How big was his stomach? Even if he could manage to nullify all of the power within the vortex, how was his stomach supposed to hold such a large amount of water? However, they were soon dumbfounded yet again. A strong suction appeared as soon as Pill King Zhen opened his mouth. It appeared as though a dragon was devouring the two water pillars. Whoosh! A mocking smile appeared on Zhuang Jie’s face when he saw what was happening. He was almost certain that the pill king was missing most of his brain. There was nothing he himself could do in face of such powerful water pillars even though he’d cultivated a separate space in his abdomen. His attack hadn’t just encompassed the power of vortex, but also the power of water origin. The pill king’s stomach was going to be grinded into dust. “You ignorant cretin! Do you truly wish for a quick death?” Zhuang Jie smiled coldly and made a few more hand signs. The two water pillars then descended towards Jiang Chen with the power of nine heavenly waterfalls. Its strength had increased even more now. Rumble! Rumble! Zhuang Jie continued to inject the power of water into the pillars and brought the attack to its full might. However, the pill king’s feet remained firmly planted to the top of the arena’s pillar, even though he had taken the full brunt of the attack. The force behind the pillars hadn’t even managed to make the pill king budge an inch. The two water pillars gushed into his mouth as though they were being controlled by an invisible force. Jiang Chen’s body was becoming increasingly large and sturdy. He’d grown a hundred foot tall and was emanating a golden glow from his body. He seemed like an ancient god that had descended upon the world. “His hundred-foot-tall golden body can’t possibly hold that much water! There was enough water in that attack to fill an entire lake! How did all that water fit into such a small stature?” What shocked everyone even more was the fact that Jiang Chen’s body seemed unperturbed by the two furious torrents of water entering his body. He didn’t move at all or give off any signs of discomfort. The audience stared at his stomach, wondering what it was made of. Why was his stomach not expanding after taking in so much water? This wasn’t logical at all. Did he have an alternate dimension inside of him as well? Zhuang Jie’s face turned ashen as he stared at Jiang Chen. The smirk was wiped off his face, replaced with shock and distress. How did he devour my water pillars? He couldn’t believe his eyes. He could’ve accepted the reality of things if Jiang Chen had sucked away his two water pillars with some kind of treasure, but he hadn’t! Pill King Zhen had devoured it simply by opening his mouth! This was something that went against logic! He wasn’t willing to accept this. Not even the other geniuses under the seven great emperors could manage such a feat. What irked him the most was the pill king’s reaction. He was so casual about the whole thing that it seemed like he had merely drunk two cups of water. Zhuang Jie had the ability to control water and strengthen its power, yet he couldn’t even manage to penetrate his opponent’s defense. The product from all his hard work and struggles had turned out to be like a pebble that had been thrown into the sea. He’d merely created a ripple instead of a large wave. Despair flooded his mind. Jiang Chen had just devoured the water pillars whole in front of tens of thousands of people. Nobody understood what had happened, nor did they know how Pill King Zhen had managed to accomplish such a feat. Zhuang Jie’s ashen face was an indication that he was similarly in disbelief like everyone else. There wasn’t even a bulge in the pill king’s stomach after he’d devoured the water. It was as though the two water pillars had disappeared into the void after entering his stomach. Jiang Chen’s hundred-foot golden body slowly returned to its original size. “Thank you. That was refreshing,” Jiang Chen said mockingly. Refreshing? The audience quickly broke into raucous laughter. The pill king had used Zhuang Jie’s incredibly frightening water pillars as a thirst quencher? This was clearly a slap to the face! Zhuang Jie was incredibly resentful as he stared at Jiang Chen standing on top of the pillar. He had never felt so much shame in his entire life. Laughter from the hundred-thousand-strong audience was the biggest slap to his face. His opponent’s words were like a sharp knife to the heart. A furious blaze began to surge in Zhuang Jie’s heart. However, the anger soon turned into calmness and deep thought. How did Pill King Zhen manage to devour the water pillar? His ability to control water was his biggest asset in battle. He would have to go on the defensive if water abilities were useless against his opponent. Even the Coiling Dragon Clan was shocked by what he’d done. “How did he do that?” Ji San muttered to himself while looking bewildered. Unfortunately, not even the clan lord had an answer for him. He was a half-step great emperor, yet he still couldn’t figure out how Jiang Chen had managed to perform such a feat. Many geniuses amongst the audience, including the subordinates to the seven great emperors, were in deep thought. It was evident that they had no idea how Pill King Zhen had managed this feat either. Their guess was that the pill king had cultivated some kind of palace in his stomach. However, it wasn’t easy to possess this skill. They’d heard about similar martial techniques as well, but none of the cultivators of such techniques were able to devour Zhuang Jie’s water pillars as easily as the pill king had done. 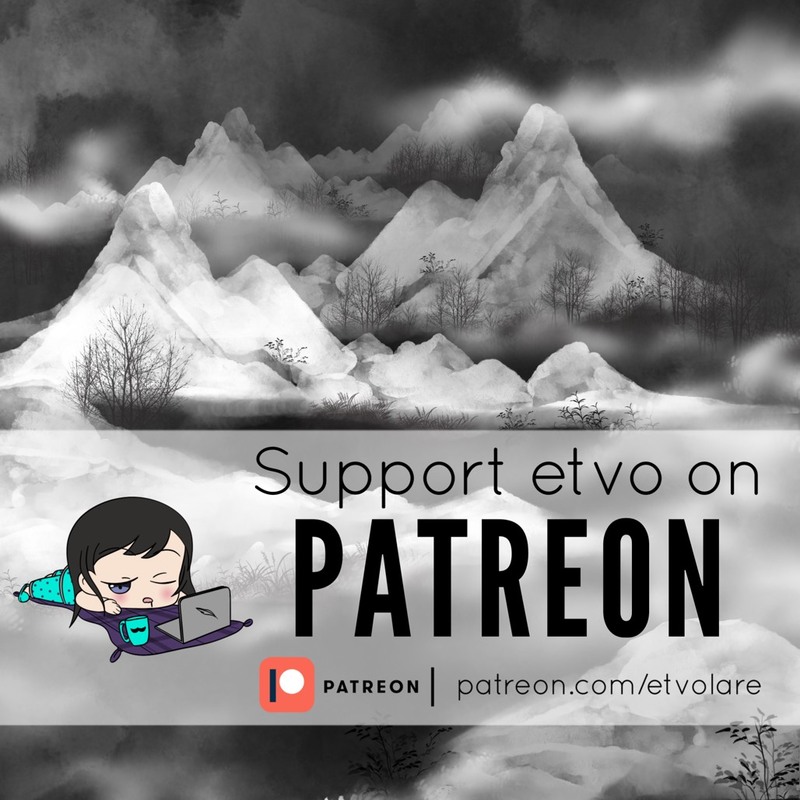 Support me and moar chapters on Patreon!